This was from the back of the funny pages, and it was serious. I entered all of the above except for CARRYVAN, and the one I didn't even like called PUPPY HOG. My mom offered to take it back to the store to get something else. I refused. I played with it once. You're still kidding me, right? But there was one bit of satisfaction I was always able to maintain. 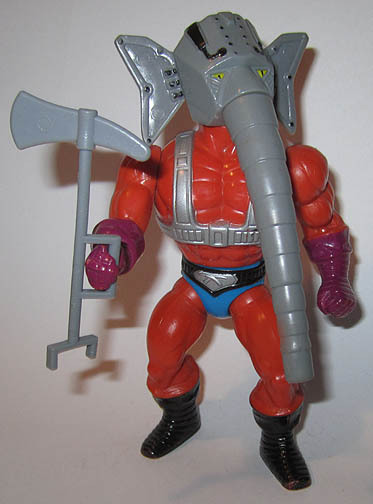 Mattel ripped off my Elephantom! They gave him a robot head and dubbed him Snout Spout. I will keep you posted on my final entries. Yes, there will be many. C.A.R.’s a small, weak wimp that can be Crushed And Restored. But every time he’s crushed by Evil, he gets mad, and when he gets mad, he gets bigger and stronger and wants revenge. 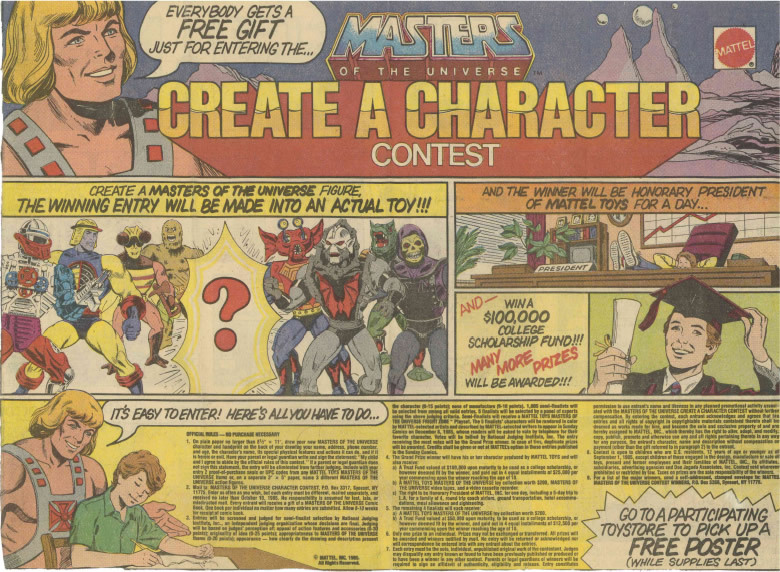 Only He-Man can talk him out of this vengeance he want. But every time he’s crushed by Good, he gets courageous. I guess I didn’t like that idea. Why would good guys crush him? When Ill-Yusion sways his hands illusions appear. Anything he thinks of at the time will become an illusion. Also, he is always ill. So anytime he coughs or sneezes, an illusion will appear or disappear. He was always ill? Who saw that coming? Ticklon has four arms. The two upper arms tickle a victim and the two lower arms grab the weapons. So there is no need for a weapon of his own with arms like this. Kangaruin (then named Kangaroo Man) has a pouch to keep things hidden. Can jump to the length of 50 feet and can jump as high as 20 feet. His hands and feet are very powerful. He can punch or kick through any solid material. Walrusaur (then named Walrus Man) has stun rays in his teeth. His teeth can also eat through 3/5 of any material except lime stone, like the walls of Castle Grayskull. His flipper hands and feet make him a good swimmer (and slapper). There should have been more slapping in He-Man cartoons. Elephantom – The ghostly elephant whose trunk can stretch miles until the enemy’s caught. Weighs nothing with unbelievable strength. 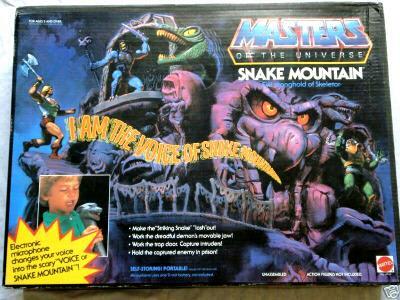 Snout Spout was only shown in the He-Man & She-Ra Christmas Special, and some She-Ra episodes, although I never saw those. She-Yuld – Her shields create invisible force fields that keeps gathering around. Once finished, ricochets anything that hits them. Her shields have magnetic forces under them, too. I don’t get what any of that means. 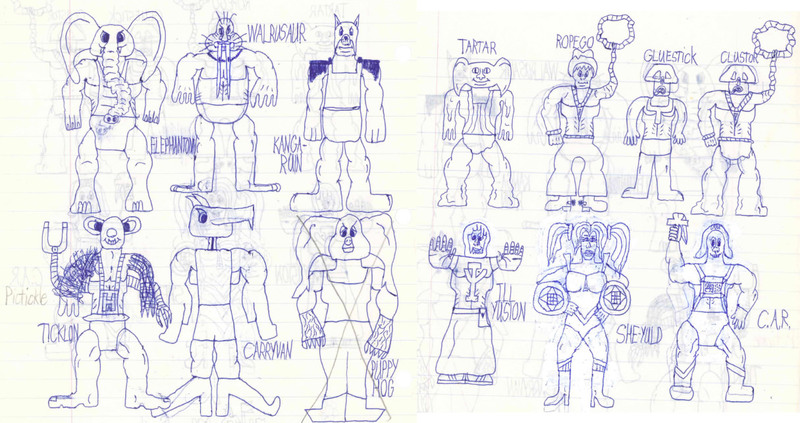 Clustor (Tartor, Ropego, and Gluestick together) – Tartor alone shakes his leg and gooky tar flies; Ropego alone has a rope arm and buzzsaw spurs on his heels; Gluestick alone spits glue from his mouth. Together as Clustor they are stronger than ever: streams of glue from the mouth, a more controllable rope arm, and buckets of tar from the legs of Clustor. Gluestick was the best I could come up with? But, I’m here to take away your one bit of satisfaction. Snout Spout had been created and designed over a year before that contest took place. 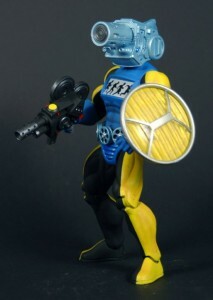 You can see his original design in the fan-released Power and Honor Foundation catalog which collects a lot of design art. Sorry! 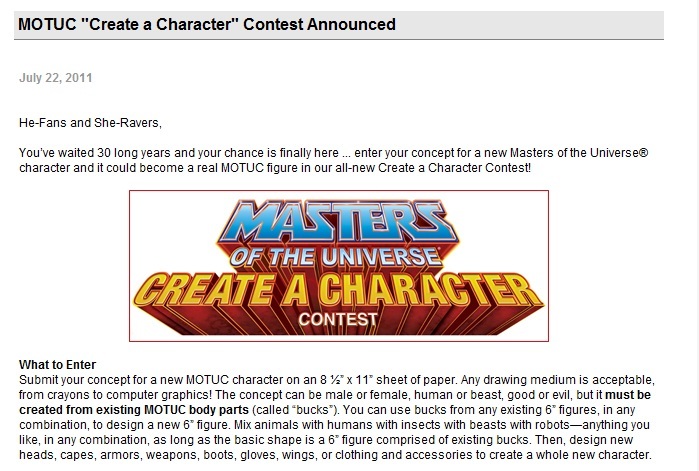 And even if they had used your design, the rules of the contest dictate that all entries become the property of Mattel to use as they see fit. Double sorry!